We were hoping to spend this week negotiating deals in the free-to-play Rusty’s Real Deal Baseball and brushing up our photography skills in Chibi-Robo: Photo Finder, but both are sadly absent from this week’s Nintendo eShop schedule. Fortunately, there are other releases of note due out. On the Wii U there’s the second wave of GBA re-releases, including the very good Kirby & The Amazing Mirror and the downright essential WarioWare, Inc: Minigame Mania. They’ll set you back £6.29 a pop – a small price to pay for WarioWare’s utter brilliance. Batman: Arkham Origins Blackgate – Deluxe Edition is also making a a belated appearance. At £15.99 though it may be worth baring in mind that the 3DS original can be had for around the same price nowadays. Over on 3DS there’s Governor of Poker (£4.49) from Teyon. Set in Texas, it entails travelling to 10 different towns and buying up real estate with your winnings. With lady luck on your side, the potential is there to take over the whole state. Yee-haw? That’s being joined by Mystery Case Files: Dire Grove and Mystery Case Files: Return to Ravenhearst, which are both set to cost £10.79. All of the above are due out on Thursday. Then on Friday LEGO: The Hobbit makes its way to both the Wii U and 3DS eShops, priced at £39.99 and £34.99 respectively. To be honest, you’ll be better off looking online – Amazon currently has it for £32 on Wii U and £29.86 on 3DS. It’s a couple of quid more at GAME, but you do get a Bilbo mini-fig. LEGO games have performed incredibly well on the Wii U. This’ll be second this year and the 6th for the console, no less. We don’t doubt for a second that it’ll be a very welcome addition to the Wii U’s library, but we do fear that it may be too similar to LEGO Lord of the Rings. Rumours of the third chapter – There And Back Again – being released as DLC later in the year are also worrying, seeing Warner Bros. has been lax regarding Wii U DLC in the past. 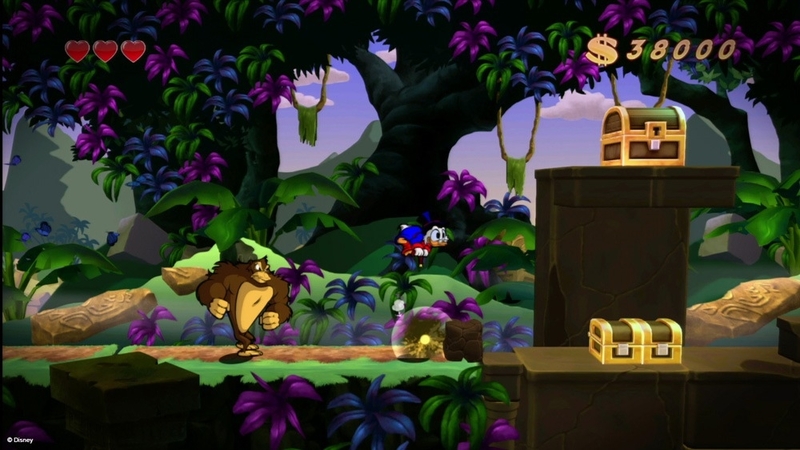 As well as a bunch of (probably) tedious 3DS match-three puzzlers, DuckTales: Remastered and TNT Racers – Nitro Machines Edition are both getting a price-cut this week. Capcom’s colourful platformer falls to £5.99 this Thursday until 17th April, while the top-down TNT Racers will cost £4.49 until 24th April. Finally, Myst on 3DS is being dropped in price permanently to £8.99. We wouldn’t get too excited though – when it was first released the decision to use the circle pad for control rather than the touch-screen left many feeling baffled.